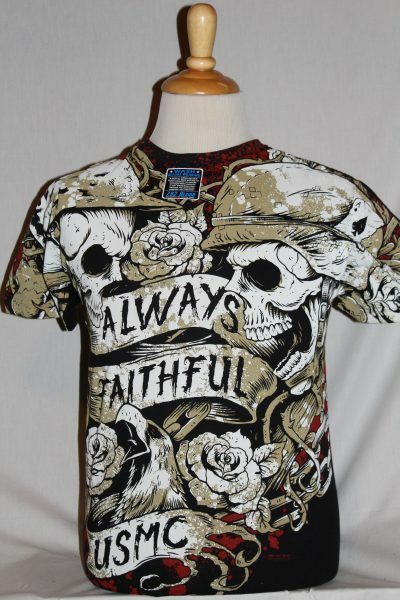 The USMC Always Faithful T-Shirt is design is a two sided jumbo print shirt in black. 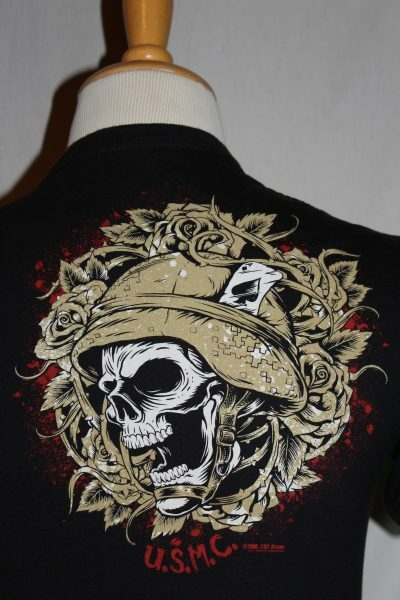 Front Design: WWI and modern helmeted Marine warriors with a rose and chain background. 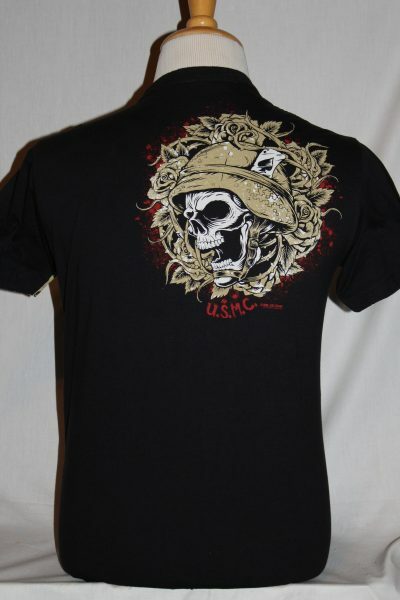 Back design: Modern Marine Warrior skull with text. Men's All-Over 4.7 oz. mid weight, ringspun, super soft 100% Preshrunk Cotton Tee. 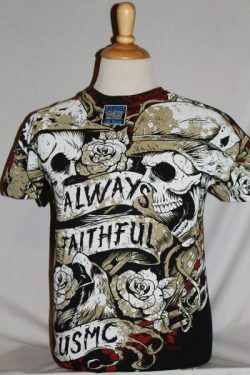 This shirt will retain its original color through multiple washings.